Dear website visitor. In the light of the abuse of client data of Facebook-users, I have turned off my Facebook account. Not deleted yet, but that may follow. Instead, I am starting to post news and pictures only on this website. Pictures enough, while being in Andalusia for an extended stay. 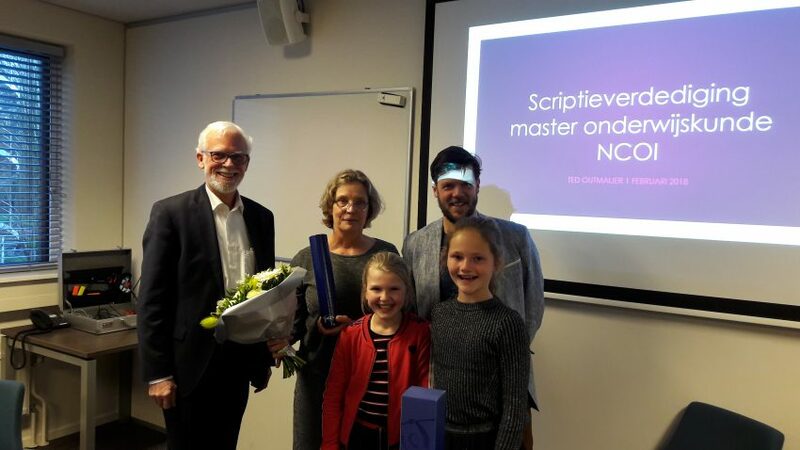 On February 1st, Ted Outmaijer-De Bakker successfully presented her Master of Education thesis, entitled ‘Passend begeleiden en motiveren van (hoog)begaafde leerlingen’ (Adaptively supporting and motivating (highly) talented pupils). The study is situated in a large school for primary education in Tilburg, the ‘Koolhoven’. 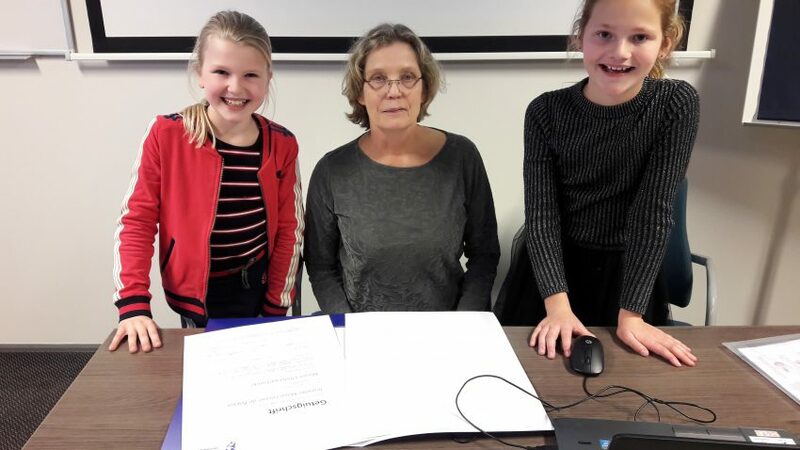 Very interesting: two pupils, Sophie van der Velden and Amber de Kort, from grades 7 and 8, who participated in this intervention study, came along. They presented themselves well and showed the fantastic Vlog they made about the type of education of the intervention. They were surely positive about the special treatment they got. They even had suggestions for teachers as to how to stimulate and coach them. Congratulations Ted with this success, and good luck with the next steps in your career. Thanks Dr. Martijn van Schaik for acting as assessor of this thesis. Thanks Sophie and Amber for being with us this afternoon, and assisting Mrs Outmaijer-De Bakker. Lots of success with your school careers! Rick Maatman is: Gepersonaliseerd leren en (leer)motivatie. Een praktijkonderzoek naar de invloed van gepersonaliseerd leren op het verhogen van (leer)motivatie van leerlingen binnen het Liemers College. Wendy Keizer – Van der Veen: Netwerkleren, van theorie naar praktijk. Een onderzoek naar het stimuleren en faciliteren van netwerkleren als middel voor het maken van de transfer van het geleerde naar de praktijk. Maike Vlassak: CITAVERDE College, de deelnemer aan zet. Deelnemersparticipatie in het kwaliteitszorgsysteem. Dr. Joachim Wetterling was begeleider van Wendy en Maike en beoordelaar van Rick.